Freedom Rockz: Hey Get a Free Brownie~ Yes Please! Hey Get a Free Brownie~ Yes Please! Click the link below to go print the coupon. 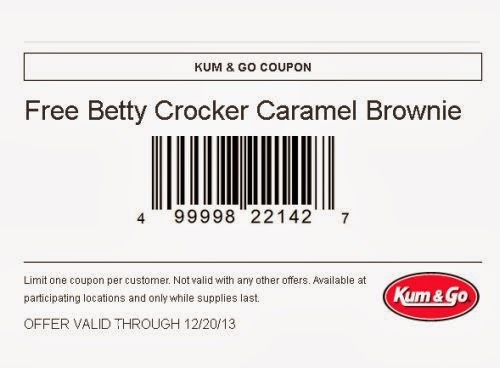 Once you print your coupon take it to any Kum & Go Store to redeem it by Dec 20, 2013. Click the link below to go print your coupon.